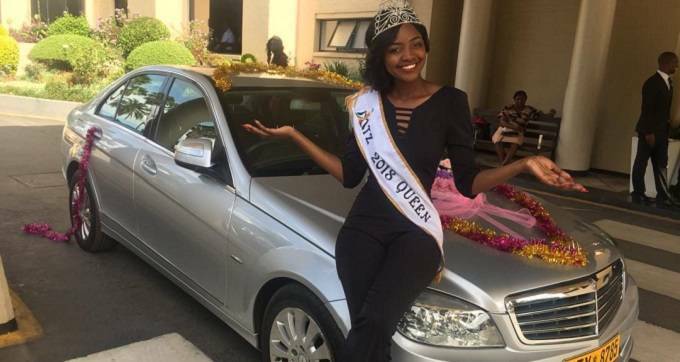 Miss Tourism Zimbabwe (MTZ), Tafadzwa Primrose Jaricha, who was crowned in September at a pageant held in Bulawayo, will not be taking part in the world contest because she is not prepared. Speaking at a prize handover ceremony for the MTZ winners, the pageant’s licence-holder Sarah Mpofu-Sibanda said the board had reached a decision to have the queen participate in next year’s Miss Tourism World contest. She will therefore reign for another year and this will hopefully give her more time to prepare for the international pageant. Asked if Jaricha was not suitable for the world arena, Sibanda defended her saying she was qualified but a lot still needed to be done if she is to make a mark there. “In my 32 years’ experience in the modelling sector, I’ve noticed that we just crown the winner and then two months down the line, she’s on a global platform. Everything will have been done hurriedly and when she reaches the spot, she won’t be ready and mature for the world standards hence her confidence will not be strong,” Sibanda explained. Mpofu-Sibanda said these changes did not mean a pageant will not be held next year. Jaricha who is based in Mutare and is a lawyer by profession, was yesterday presented with a Mercedes Benz C200 Compressor that has already been registered in her name. She also received $10 000, a return air ticket to Malaysia as well as gift vouchers as part of her prizes for winning the contest. Her first princess, Natalie Mangondo walked away with $7 000 while Life Matunzeni got $5 000. All the 21 finalists who took part in the contest got $1 000 each from Prophet Walter Magaya. Jaricha said she had started working on her beauty with a purpose project which she has named ‘Kureva’.